It was hard not to feel some sense of emotional satisfaction, and justice done, when American cruise missiles struck an airfield in Syria on Thursday. The country’s president, Bashar al-Assad, needed to understand that there would finally be a cost for his brutality, in this case the use of chemical weapons with sarin, a banned nerve agent, that killed scores of civilians earlier this week in one of the worst atrocities of the Syrian civil war. But it is also hard not to feel unsettled by the many questions raised by President Trump’s decision. Among them: Was it legal? Was it an impetuous, isolated response unrelated to a larger strategy for resolving the complex dilemma of Syria, a nation tormented not just by civil war but also by the fight against the Islamic State? So far, there is no evidence that Mr. Trump has thought through the implications of using military force or figured out what to do next. For a man who had campaigned on an “America First” platform of avoiding entanglements in overseas conflicts and who repeatedly warned his predecessor, Barack Obama, against military action in Syria, Mr. Trump made a breathtaking turnaround in the space of 63 hours after the chemical attack. He has long argued that the top priority was fighting the Islamic State, not forcing Mr. Assad from power; indeed, as recently as last week, Secretary of State Rex Tillerson and the United Nations ambassador, Nikki Haley, had reinforced the perception that Mr. Trump was perfectly willing to live with Mr. Assad. Mr. Trump explained the shift by saying that he had been so deeply moved by television footage of child victims gasping for breath that “my attitude toward Syria and Assad has changed very much.” However sincere this sentiment, the spectacle of a president precipitously reversing course on war and peace on the basis of emotion or what his defenders describe as “instinct” does not inspire confidence. One also has to wonder why he was not similarly moved by the 400,000 Syrians who have died since the war broke out in 2011, or by the thousands of Syrian refugees he has barred from the United States. So what did the 59 missiles accomplish? Militarily, this was a measured response that severely damaged Syrian aircraft and infrastructure at Al Shayrat airfield. Tactically, it may help persuade Mr. Assad (and other problematic leaders, like those in North Korea) that using weapons of mass destruction will not go unpunished. But Mr. Assad still has his chemical weapons, and the civil war endures. The airstrikes allowed Mr. Trump, whose presidency has so far been defined mainly by its stumbles, to separate himself from Mr. Obama, who threatened military action in the event of a chemical attack but who, after such an attack, chose a smarter course, a deal in which Russia guaranteed the removal of Syria’s chemical weapons. It is not clear whether the Kremlin failed to follow through or simply allowed Mr. Assad to retain his lethal capability. In any case, Russia deserves condemnation, as does Iran, which is also enabling Mr. Assad with military and other support. Whether by design or not, the American military action has also shifted the focus from the scandal over Russia’s interference in the election on Mr. Trump’s behalf and allegations that the president and his allies may have colluded with Moscow. At the same time, it has made it harder for Mr. Trump to meet his goal of improving ties with Russia. Hoping to avoid a military confrontation, Washington alerted the Russians in advance of the airstrikes. Even so, President Vladimir Putin’s office called the strikes a “significant blow” to Russian-American relations, suspended an agreement meant to prevent accidental clashes and threatened to reinforce Syrian air defenses. On the plus side, the airstrikes have given Mr. Trump a lift in Sunni states in the Persian Gulf, which chafed at Mr. Obama’s refusal to take direct military action against Mr. Assad. European allies and members of Congress also endorsed his decision. But the action lacked authorization from Congress and the United Nations Security Council, raising questions about its legality and spotlighting a rich irony. In 2013, Mr. Trump argued that Mr. Obama must get congressional approval before attacking Syria. Congress, with a long history of ducking its war-making responsibility, refused to give it. Studies show that one-off military strikes achieve little. Whether this one has given Mr. Trump any leverage with which to press Russia for a diplomatic solution may become clearer when Mr. Tillerson visits Moscow next week. But the greater need is for a comprehensive strategy and congressional authorization for any further military action. There are risks the president simply cannot take on his own. Now comes President-elect Donald Trump. He has won the office and yet has continued his vindictive, disruptive style of politicking. He has run a post-campaign that has corroded the traditional grace period of considerate political transition that the nation needs. The hope of citizens for a better future, for a sense of uplift, has wound up hostage to his impetuous Twitter attacks on individuals, institutions and nations. This is the question haunting Mr. Trump’s inauguration on Friday. Is he up to the job of uniting and leading the nation — of achieving and sustaining the tone that Americans for generations have called presidential? 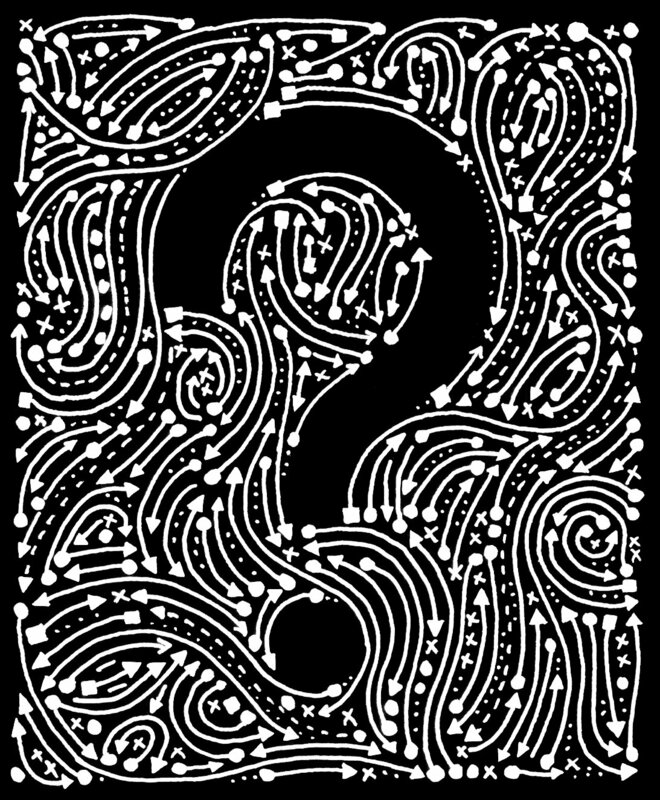 Or will self-absorption and free-flowing peevishness be the hallmarks of an era of domestic and global crises, stirred up by grossly uninformed perceptions of reality? Poll numbers suggest that the public already has lost heart during the transition, rating Mr. Trump the least popular president-elect of modern times. Mr. Trump, of course, reacted with a fresh Twitter attack that the polls were “rigged.” Sad, as he likes to say, that he did not realize that the nation, and his standing, would be better served by a hint of humility and resolve to win over all Americans. Instead we had more “Trump Lashes Out …” headlines. The contrast with President Obama’s incumbency and personal demeanor could not be more vivid or less encouraging. Mr. Trump’s first news conference as president-elect, just last week, was a clinic in bombast and self-aggrandizement, punctuated by denials of the need to make his tax returns public or to curtail business interests that could invite corruption. His breathtaking ignorance about health care and the Affordable Care Act made him seem clueless about just how he imagines replacing it. Americans who voted for Mr. Trump, as well as those who voted against him, surely must see that few incoming presidents have been in greater need of an informed cabinet and experienced public officials. Yet his cabinet choices have largely been ideologues and plutocrats who may or may not carry out Mr. Trump’s contradictory campaign promises. This is not the first time that “transition” has seemed too gentle a word for a startling if not shocking swerve in public policy and presidential style. A youthful John F. Kennedy succeeded the aged Dwight Eisenhower; the rock-ribbed conservative Ronald Reagan followed the liberal Jimmy Carter. Barack Obama came on the heels of George W. Bush, who himself followed Bill Clinton. Each of these presidents came into office with passionate opponents who worried for the future of the nation. The campaign is over. The nation needs to hear Mr. Trump pick up this grand American theme and then find enough personal conviction to make it a central aspiration of his presidency. 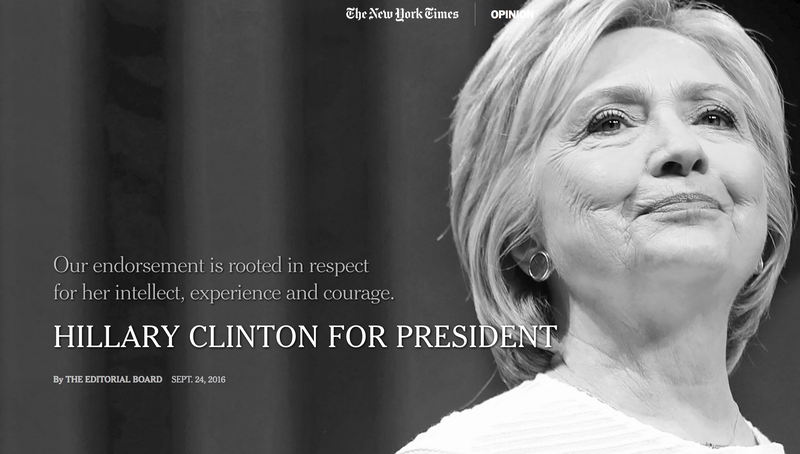 El 24 de septiembre el New York Times publicó un editorial dando su apoyo a Hillay Clinton. Es una tradición de los grandes periódicos de Estados Unidos publicar recomendaciones en las elecciones importantes. El día siguiente, el New York Times publicó otro editorial expliando porque Trump no debe ser presidente de Estados Unidos. Mr. Trump has been opaque about his questionable global investments in Russia and elsewhere, which could present conflicts of interest as president, particularly if his business interests are left in the hands of his children, as he intends. Investigations have found self-dealing. He notably tapped $258,000 in donors’ money from his charitable foundation to settle lawsuits involving his for-profit businesses, according to The Washington Post. Protests in Sao Paoulo against Brazilian President Dilma Rousseff and her new chief of staff, and former president, Luiz Inacio Lula da Silva. President Dilma Rousseff of Brazil is fighting for political survival as calls for her impeachment grow louder amid a widening corruption investigation and a tanking economy. Astonishingly, however, she appears to have felt she had political capital to spare last week when she appointed her predecessor and political mentor, Luiz Inácio Lula da Silva, to be chief of staff, a move that largely shields him, for now, from prosecution in the corruption scandal involving his ties to giant construction companies. Ms. Rousseff’s explanation was tone deaf and ridiculous. She characterized the appointment as an opportunity to bring back to the government a maverick politician and talented negotiator to help Brazil contend with an assortment of crises, including the spread of the Zika virus. “If Lula’s arrival strengthens my government, and there are people who don’t want it strengthened, then what can I do?” Ms. Rousseff said. Ms. Rousseff has now created yet another crisis, one of confidence in her own judgment. Mr. da Silva, who led Brazil from 2003 to 2010, has been dealing with charges of illicit self-enrichment since he left office. Close associates, including his former chief of staff, José Dirceu de Oliveira e Silva, and the former treasurer of the ruling Workers’ Party, João Vaccari Neto, are in prison for corruption. Early this month, investigators raided Mr. da Silva’s home and took him into custody for questioning. Prosecutors then sought to arrest him, accusing him of having accepted $200,000 worth of renovations for a beachfront property investigators believed he planned to occupy. Federal prosecutors are also investigating whether the millions of dollars Mr. da Silva and his foundation have received from companies linked to the scandal surrounding Petrobras, the national oil company, were actually bribes. Mr. da Silva, a leftist leader, says he is not guilty and is entitled to his day in court. But he and Ms. Rousseff want to delay that day for as long as possible by giving him the protections from prosecution that cabinet members enjoy. Roughly 50 officials — including politicians from other political parties — have been implicated in the Petrobras scandal, and Brazilians are rightly disgusted with their leaders. 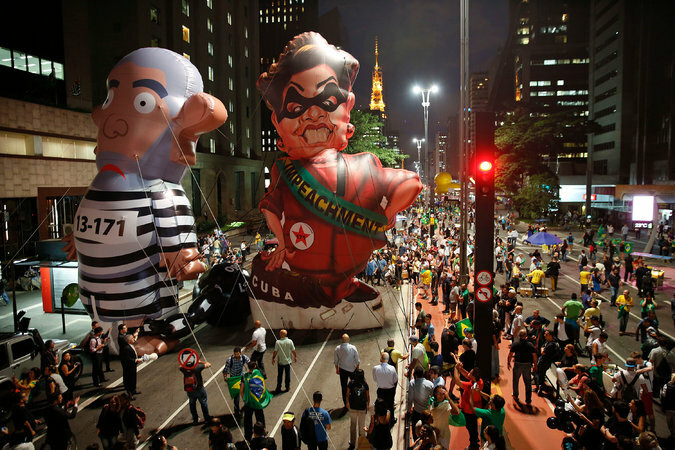 This latest move by the governing party sent protesters to the streets to demand Ms. Rousseff’s resignation and to express their outrage at what amounts to blatant cronyism. If her latest blunder pushes the impeachment effort across the finish line, Ms. Rousseff will have only herself to blame.